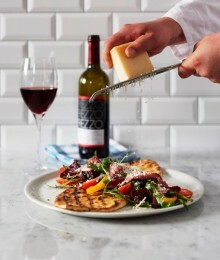 Popular Italian-inspired Prezzo restaurant prides itself on creating delicious dishes, using fresh seasonal ingredients. And the new additions for the Spring menu include a host of light refreshing dishes and cocktails that evoke the spirit of la dolce vita. Founded in 2000, Prezzo offers stylish casual dining, often set within listed buildings or sites of particular local interest and architectural value. There are currently over 180 restaurants across the UK, each with its own individual interior design – from Aberdeen in Scotland to Falmouth in Cornwall. There are also 14 Prezzo restaurants in London, including one just off Trafalgar Square. What better way to herald the onset of summer – fingers crossed – than raising a glass with the hippest of Italian cocktails: the Aperol Spritz? Light and refreshing with a whisper of Pimms, but with a bitter-sweet Campari sophistication. Cin cin! 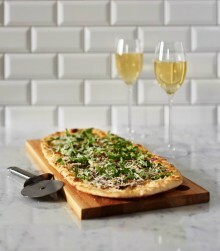 Prezzo has an extensive menu of pizzas, pastas, risotto. grills and salads at the best of times; with the addition of half a dozen or so new dishes, you may have to factor in a little longer to contemplate your choices. We started with four flatbreads to share, which were dotted with N’duja sausage and mozzarella (the sausage was deemed too spicy by 10-year-old Joe); juicy cherry tomato bruschetta; prosciutto, mozzarella and tomato; and a mini pane con cipolla, which was cheese with a sweet sticky balsamic caramalised onions. Served with rocket and sunblushed tomatoes, it would make a tasty starter for four (as we were only dining a deux, we didn’t eat it all as we didn’t want to fill up too much). For mains, I was tempted to try one of the new Flatbread Salads: the rare steak with red onion, cherry tomatoes, and beetroot in a lemon and mustard dressing sounded lush, but settled for seabass with basil pesto and asparagus. I was served a very nice fillet of fish (a tad overcooked, alas) but the asparagus had just the right amount of fresh crunch. Not bothered whether it was Spring or not, Joe eschewed the new Verde with mushroom, spinach and asparagus, and the spicy N’duja sausage pizzas, and opted for the classic Pepperoni Pizza. 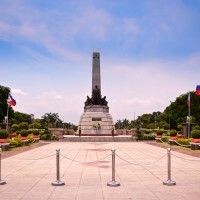 You can’t go wrong when you know what he likes and like what you know. When it came to dessert, there was one retro blast from the past that I had to try. As a kid, I fondly remember Arctic Roll as a treat with its creamy round ice cream, surrounded by jam and sponge. Well, Prezzo offer retro nostalgia with a fashionable twist. 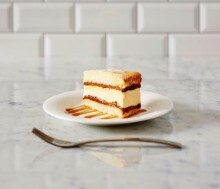 Caramel Arctic Slice with vanilla cream, salted caramel and golden honeycomb sandwiched between two slices of light sponge. Not quite sure what they would have made of new-fangled fanciness in the Seventies, but I rather liked it. Why go Prezzo has won many awards for its quality, great-value-for-money food, including ‘Best Casual Dining Chain’ in the MIDAS Awards in 2011, Best Pizza Group by the BBC’s Olive magazine in 2009 and Italian Restaurant Chain of the year in the PAPA (Pizza and Pasta Association) awards in 2009. Best for Lovers of classic Italian food with a modern twist. Our Favourite Bit No-nonsense frills and an extensive menu with plenty of seasonal ‘guest stars’. Most of the classic pizza and pasta dishes are available as gluten-free options too. Top Tip The restaurants vary in size and style; some of the London locations, like St Martin’s Lane, can get very busy. Ask to be seated in the crescent-shaped banquettes if you can. They’re spacious and comfortable for family dining, plus – with an adult at either end – they’re a cunning way to keep young children contained. 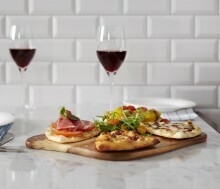 Read our restaurant review of Prezzo in Northumberland Avenue.